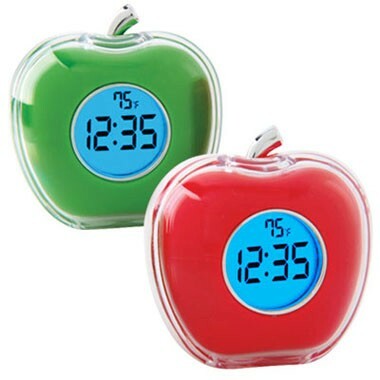 Description: Alarm clock and temperature display. Blue LED back-light. Announces time and temperature every hour. Measurement: 3" x 3" x 2"